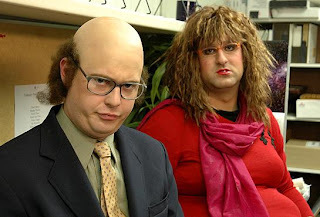 I just wanted to let you, the entire population of everyone who is on the web (our audience) know that Tim & Eric Awesome Show: Great Job season 4 premiered on Sunday. I just finished watching the first episode (on my lunch break) and I want to tell you that I love it and there's still nothing quite like it. And I'll be headed to Vienna in the morning around 3am. I'll be there until Sunday. Look for updates on my trip later this week.